We are proud to bring you speakers from our own backyard as well as throughout the country who are well known for their knowledge and dedication to the horticulture industry. 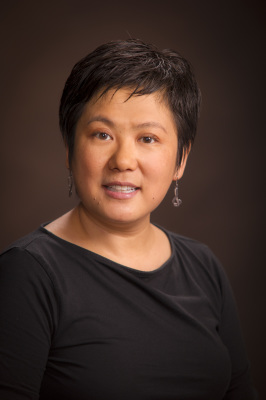 Qing Lana Luo is a licensed Landscape Architect, and an Assistant Professor and State Extension Specialist of Landscape Architecture at Oklahoma State University. Before joining the academic position, she had been practicing landscape architectural design in leadership roles in international design firms for seventeen years in Boston, MA and Beijing, China. She has worked for prestigious international firms including EDSA, CRJA and Turen Scape, and had her practice. She has designed a wide range of outdoor environment, including urban parks, plazas, streetscapes, residential landscapes, and mixed-used developments. Her projects are located broadly in the world including the USA, South America, Middle East, Europe, and China. Qing’s work has been recognized with many international, national, and regional awards. Qing currently teaches six core design classes at Oklahoma State University. She has been invited to give a wide range of talks, and to teach workshops relating to landscape design, sustainable landscape, cultural landscapes in regional programs, national conferences, and international universities. She has a deep understanding of landscapes, design, culture, and sustainability issues. She has traveled to many places in the world and used photography as her journal to record her experiences. Ruth Inman is a marketing Jill-of-all-trades who thinks being called a “geek” is a compliment. As an assistant professor in agricultural communications and convergent media state extension specialist at Oklahoma State University, she gets to put her geeky skills to use daily teaching about digital media and integrated marketing communications. With three degrees from OSU (bachelor’s, master’s and doctorate) and more than a decade working for the university under her belt, it’s easy to believe Dr. Inman bleeds orange. 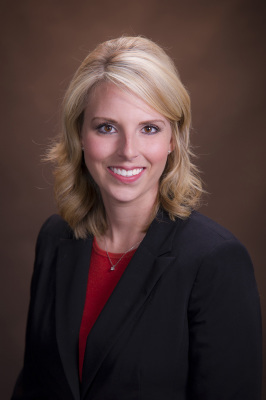 Before joining the faculty, she led the marketing staff for the OSU Spears School of Business, managed marketing projects for the OSU Division of Agricultural Sciences and Natural Resources, and owned a web design, graphic design and marketing consulting business. She is passionate about helping students, businesses and organizations achieve their strategic goals with the help of integrated marketing communications tactics. Dr. Inman’s background in agriculture runs deep. She grew up on an Oklahoma centennial farm homesteaded by her great-grand-grandfather in the Cherokee Strip Land Run in 1893. She and her husband, Trent, have continued their agricultural involvement and live on a small farm near Mulhall, Oklahoma. Their sons, Fletcher and Dax, show livestock and are members of 4-H Cloverbuds. In addition to showing pigs, the Inman boys love Legos and have inherited “cool” traits like livestock savvy from their dad and “nerdy” traits like technology literacy from their mom.